I don't know about you, but I find around 3 o'clock everyday I get sluggish and hungry. It's way too early for dinner, which is three hours away, and way too late for lunch, which I've usually had three hours prior. I find having a bit of afternoon tea perks me up and I'll admit, makes me less grumpy. The difficult thing about afternoon tea is, that it is so easy to eat something big and spoil your appetite for dinner or eat something that probably isn't very healthy. A while ago I posted this recipe for muesli balls, which I make as snacks for the kids and while they are delicious, I wanted to change things up a bit. What better way than to use two of my favourite ingredients, cocoa and blueberries. 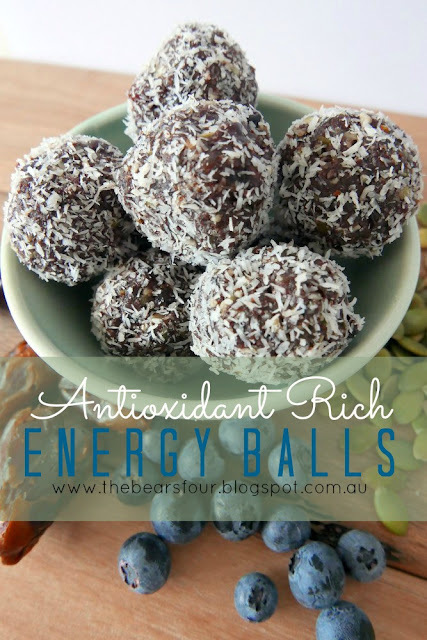 For a quick, healthy and delicious snack, make these antioxidant rich energy balls. So this is super simple to make and packed full of antioxidant goodness. Note: If blueberries aren't your thing, you can substitute them for dried cranberries which are also rich in antioxidants. Step 1: Place all of the ingredients, minus the coconut, in a food processor and process until well combined. Step 2: Using your hands, roll a heaped tablespoon amount of the mixture into a ball and set aside, Repeat until you've used all of the mixture. 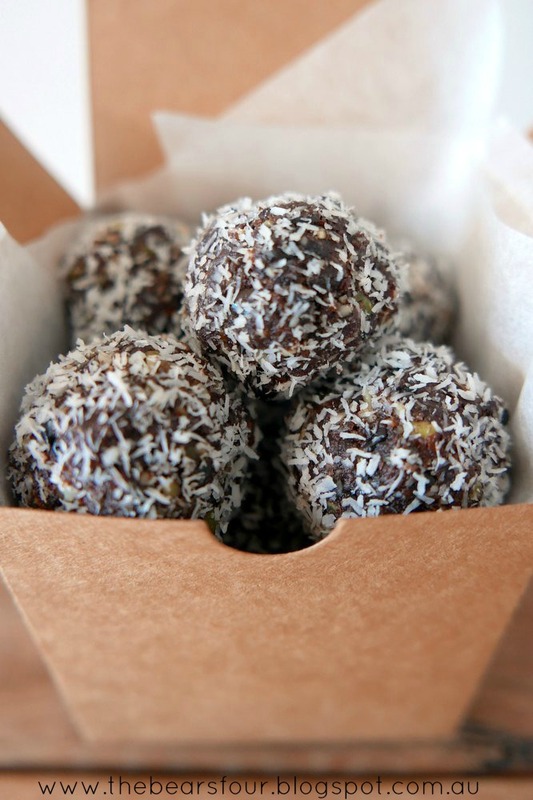 Step 3: Roll the balls in the coconut and place in an airtight container in the fridge for at least an hour to set. Enjoy your delicious and nutritious snack!